All climbers are supplied with a full-enclosed climb suit, and the climb leaders will advise you of the weather conditions for the day and suggest comfortable clothing to wear in conjunction with your climb suit. Accessories provided include hats, handkerchiefs, sunglasses, lanyards, all-weather jackets and sunscreen, and all climbers are required to wear fully-enclosed rubber-soled shoes. Commentary from the leaders is delivered via a radio headset, however you will be unable to communicate through the radio headset yourself - you will still be able to directly interact with your fellow climbers and the climb leader throughout the entire experience however. 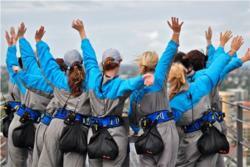 The Brisbane Story Bridge Climbs fill up fast, so be sure to book tickets for all involved as early as possible! The Brisbane Story Bridge Dawn Climb option will let you see Brisbane from this outstanding vantage point early in the morning when the air is at its freshest and the views amazingly clear! Join the rest of your fellow climbers and suit up for an adventure that lasts for approximately 2.5 hours as your guides provide you first with all the necessary safety equipment and briefing followed by a challenging yet enjoyable hike up one of Brisbane's most recognisable landmarks. 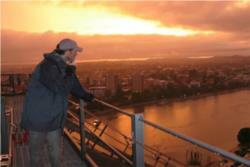 The Brisbane Story Bridge Day Climb option will let you see views of Brisbane and across to Moreton Bay in the east! Join the rest of your fellow climbers and suit up for an adventure that lasts for approximately 2.5 hours as your guides provide you first with all the necessary safety equipment and briefing followed by an enjoyable hike up one of Brisbane's most recognisable landmarks. 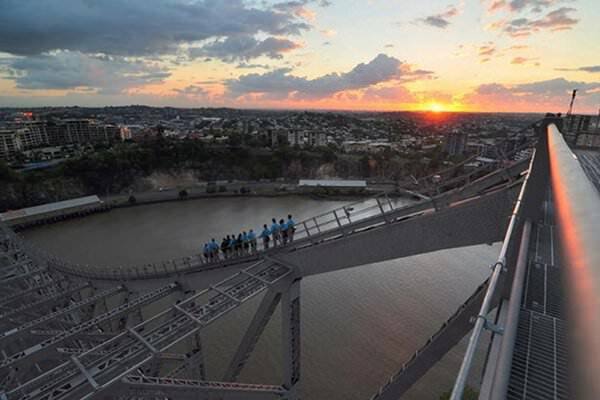 The Brisbane Story Bridge Twilight Climb option will let you see Brisbane from this outstanding vantage point early in the evening as the sun slowly descends through the sky! 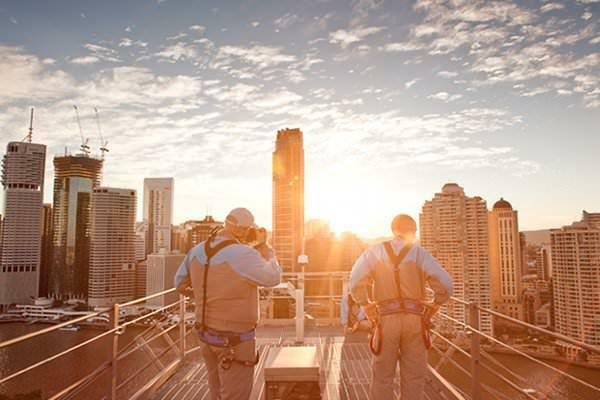 Join the rest of your fellow climbers and suit up for an adventure that lasts for approximately 2.5 hours as your guides provide you first with all the necessary safety equipment and briefing followed by an enjoyable hike up one of Brisbane's most recognisable landmarks. 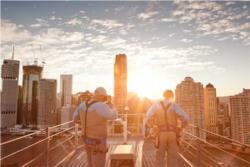 As the sunlight slowly fades in the sky, take in both the scenery and the detailed commentary from your friendly climb masters as they explain the history and highlights of both the bridge and the city of Brisbane as a whole, and bask in the feeling of achievement as you reach the top! 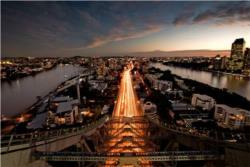 The twilight climb option is ideal both for those who may not want to rise early in the morning yet still want the comfort of daylight during their Brisbane Story Bridge Climb. For an entirely different - yet equally impressive - perspective on the city of Brisbane, the Brisbane Story Bridge Night Climb option is a great choice as the city skyline and its twinkling lights provide a wonderfully illuminated backdrop to make the climb. Join the rest of your fellow climbers and suit up for an adventure that lasts for approximately 2.5 hours as your guides provide you first with all the necessary safety equipment and briefing followed by an enjoyable hike up one of Brisbane's most recognisable landmarks. 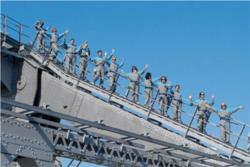 Prepare to take the ever-popular Brisbane Story Bridge Climb to a whole other level with the abseil climb! After you've made your way to the top of one of Australia's only two available bridge climbs, notch up and get ready to come back to earth; you'll see firsthand how much better pulleys are than stairs. 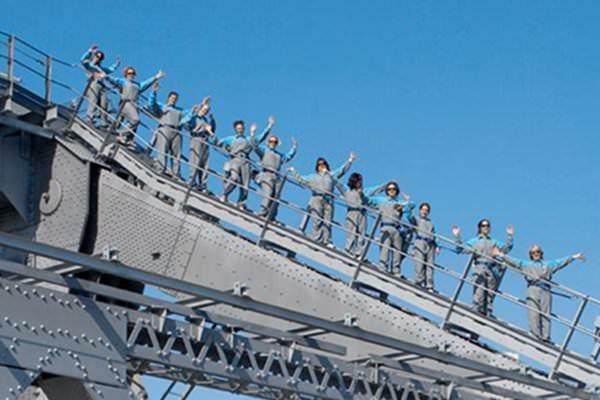 This package includes the standard Brisbane Story Bridge Climb as well as the abseil experience; after you've seen all the best Brisbane has to offer and are back down below road level, you'll be prepared for the abseiling portion where you'll zip down the Kangaroo Point side of the bridge directly into Captain Burke Park. 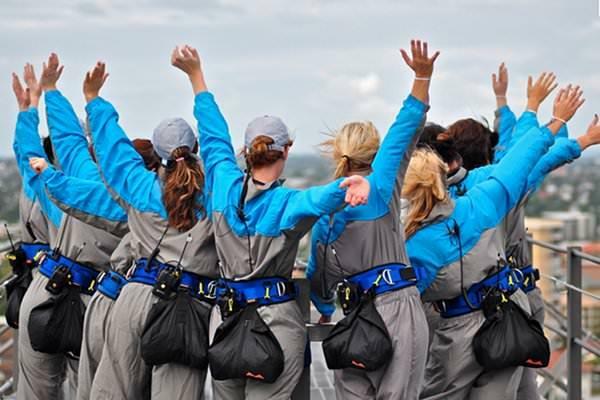 Combining two great Brisbane adventure experiences in one, don't miss out on this essential up-and-down adventure - book your Brisbane Story Bridge Abseil Climb online today!